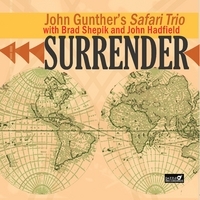 John Gunther : Safari Trio CD is here! Safari Trio CD is here! Safari Trio CD with Brad Shepik and John Hadfield is out on Dazzle Recordings! Find it here on CD baby.